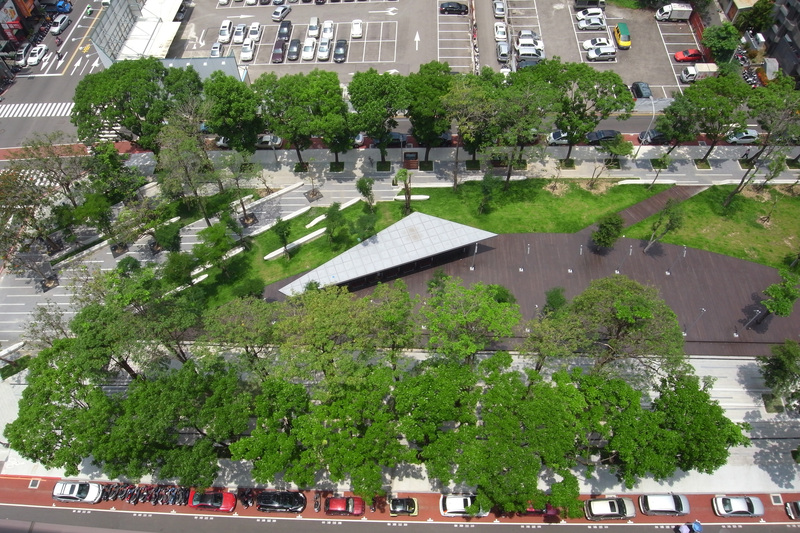 Taichung Greenbelt, Taichung, Taiwan by AECOM Asia Company Ltd. Winner: AECOM Asia Company Ltd.
Having been named the “World’s Best Cultural and Art City” by the World Leadership Forum in 2007, the City of TaiChung engaged us to transform its 6.5 hectares greenbelt, stretching 3.6 kilometers in length from the National Museum of Natural Science to the National Taiwan Museum of Fine Arts, into a cultural and art greenway to reflect the city’s vibrant scene and its commitment to sustainability. 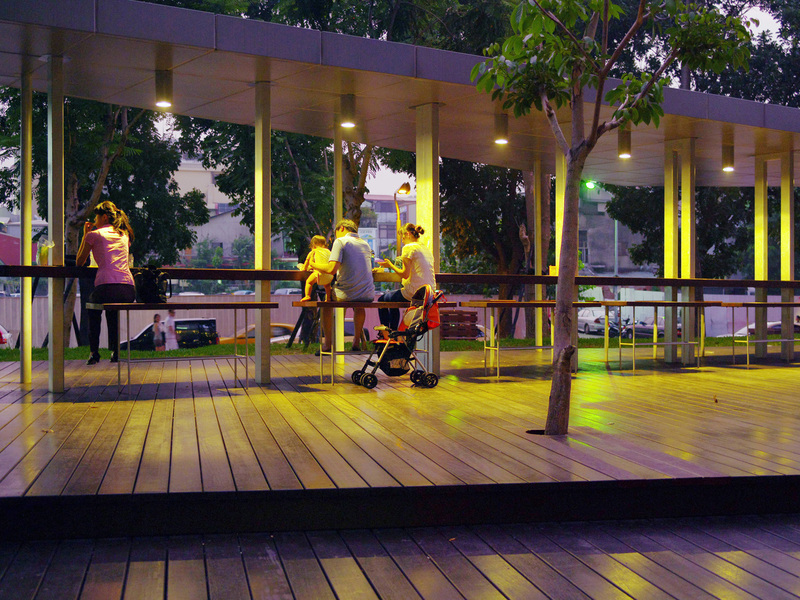 The Calligraphy Greenway was one of the top five national urban development agendas for Taiwan in 2009. 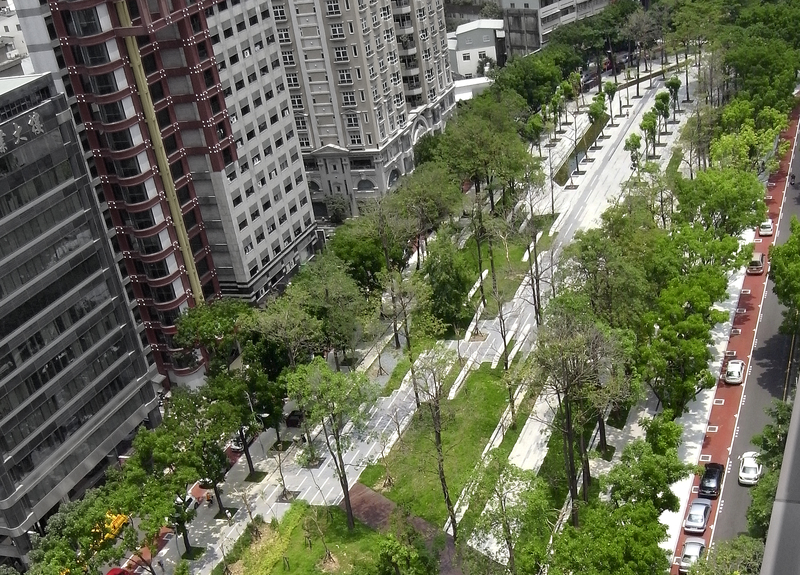 It features five zones – the Hill of Science, The Heart of Culture, Zero-carbon Corridor, SOHO Spirit, Elite Life Style. 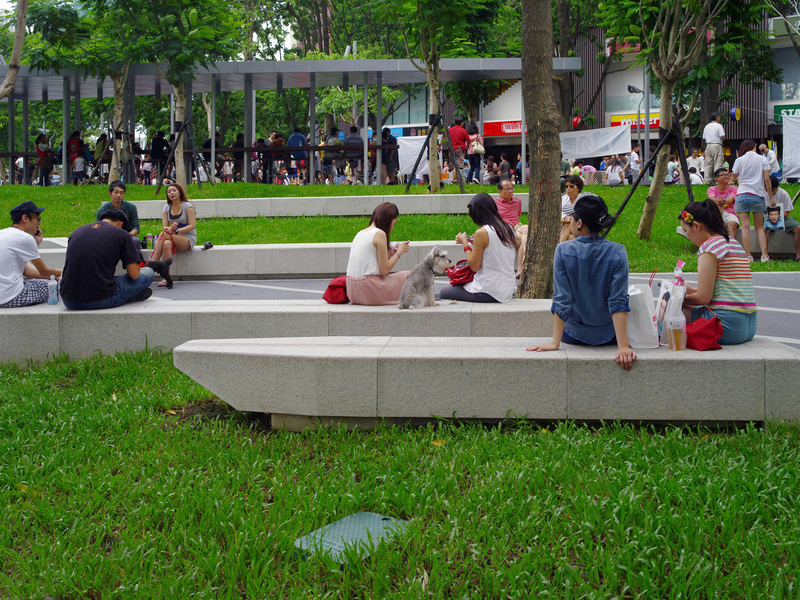 Our design took an eco-friendly and community-oriented approach – aiming to rearrange the existing space into a leaf-vein like ecological network, providing a more spacious and comfortable city green lung to citizens and tourists alike. It also draws visitors of the National Gallery, Science Museum and other key nodes together and accelerates the tourism, adjacent communities, and economic development of the region. 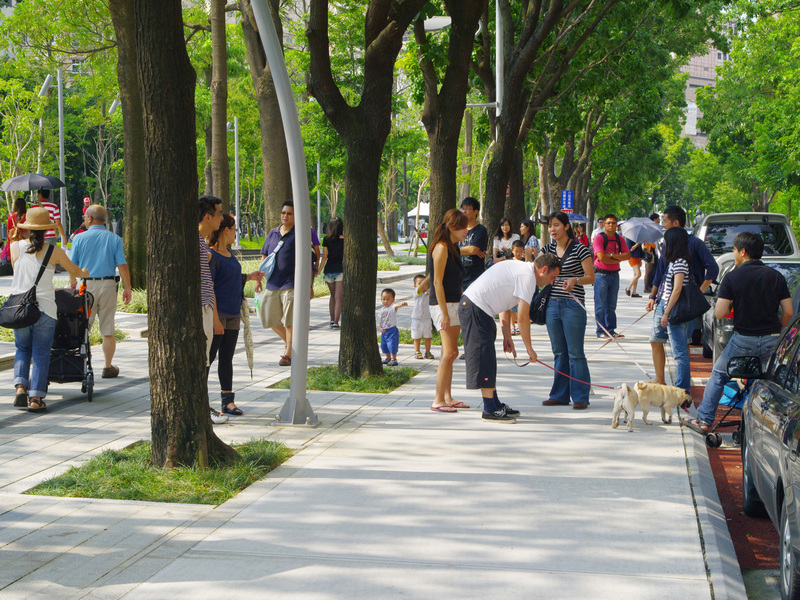 The design metaphor translates Chinese calligraphy into physical movements and landscape elements to blend this public realm with existing activities and context. By applying landscape paving, planting and other space factors, the 2D calligraphy evolved into a 3D spatial movement allowing visitors to fully experience the calligraphic beauty through tactile, auditory, and visual feelings. 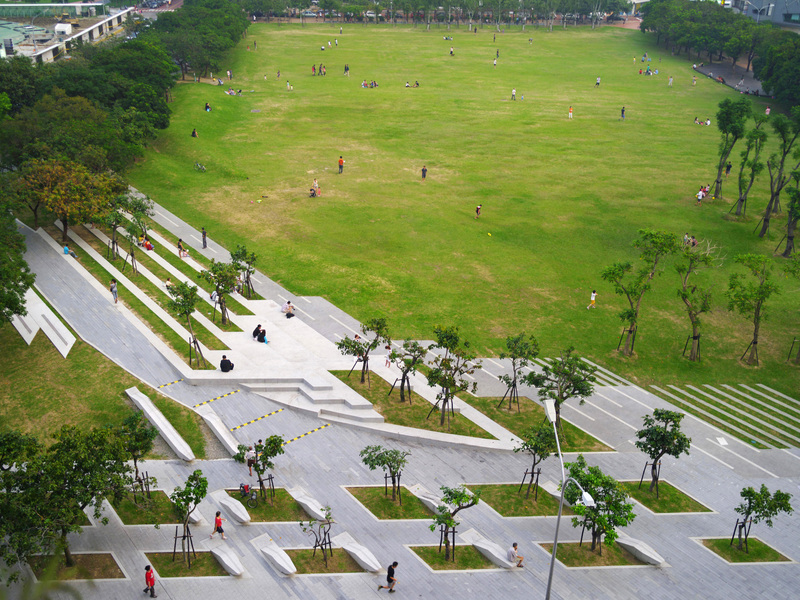 Upon completion of construction, the Calligraphy Greenway successfully re-organized the adjacent urban fabric and communities and increased their land value by more than 20%.